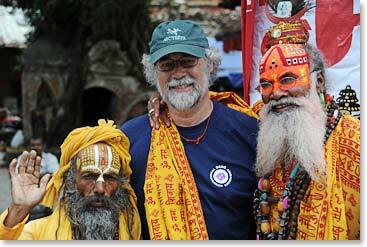 Slowly over the past two days our Everest Base Trekking Team has been departing Kathmandu for their homes in US and Canada. 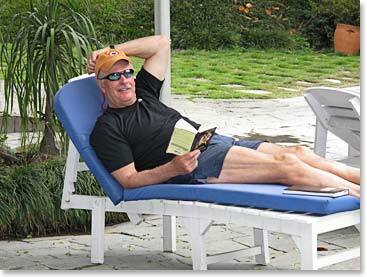 As our final dispatch for the season we would like to present some photos of our final days on the trail and of our return to Kathmandu. 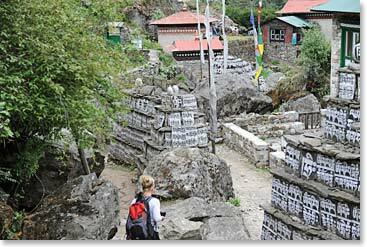 Much of the trail between Namche and Lukla is lined with painted mani walls and prayer flags. 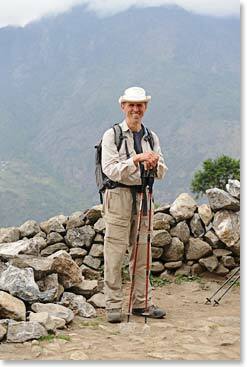 Fred pauses at a picturesque spot along the trail. 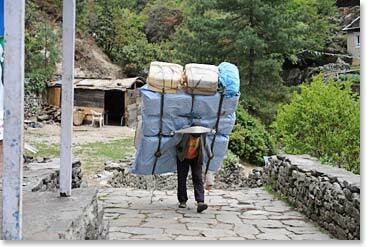 We saw impossibly large loads being carried by porters. 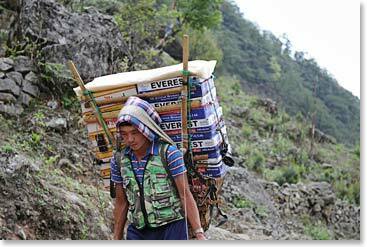 This fellow was apparently going uphill to replace the Everest Beer that we drank while we were trekking. Woodie, (“Papu” ), and Mathes take a break. 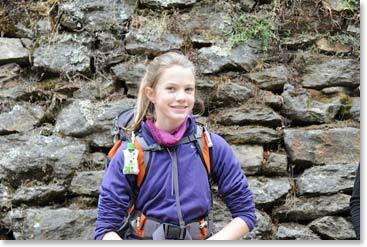 Mathes as a star on this trek; she was strong, healthy and involved with her fellow trekkers and the Sherpas throughout the trip. 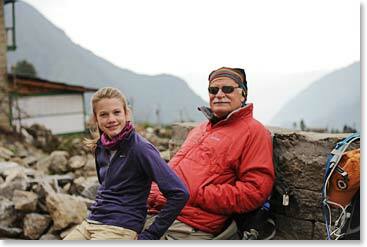 Sara, Mathes and Jackie were still shopping as they walked down the long street in Lukla that leads to the airstrip. On our last night, we had a party with our Berg Adventures staff. 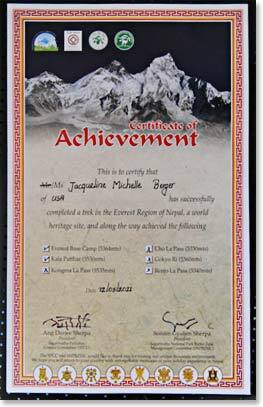 Our trekking members were the first ever to receive the new Certificate of Achievement awards for Khumbu trekkers. 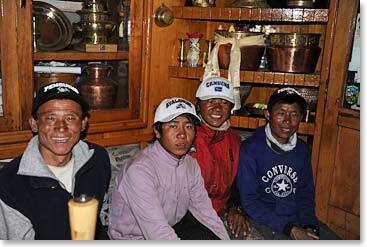 We presented staff members with NHL hats provided by Paul. 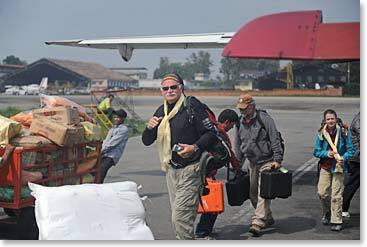 There was a rumor that ZZ Top was in Kathmandu, we didn’t believe it until we passed these guys. 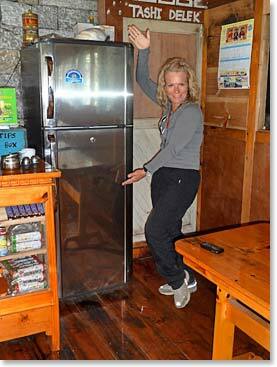 One thing we’re certain of however, Vanna White was seen presenting a new refrigerator to a Sherpa family in the village of Cheumo.